Grab your copy of "37 things you MUST know before hiring a Nanny"! 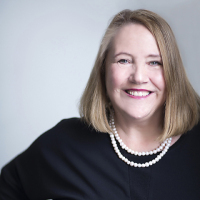 Our free e-book gives you expert insight from our CEO on the things you simply MUST consider before hiring a Nanny/Educator to look after your children. You can't miss this! Need a Nanny/Educator or Household Manager? Placement Solutions can help you in Melbourne, Victoria-wide and now in Sydney with a Professional Nanny/Educator* or Household Manager. We proudly stand behind the most stringent of recruitment practices and have over 30 years leading this industry as an elite service in Melbourne. Soon launching in Sydney, if you are looking for a Professional that is legally paid and equipped to offer the very best to your family, you need to contact us. We service greater Melbourne and Sydney and all our Educators are all legally employed by the agency as a labour-hire firm. We recognise that every family is different and that your needs are unique. In business since 1988, we can expertly guide you and continue to support you to ensure that you have the best solution for your family's needs. We also place the most astute Household Managers; enabling you to lose the stress and live the dream. By outsourcing those household tasks you'd rather not do, you can finally reclaim some of your free time! I have had 3 nannies from Placement Solutions. Each of them has provided my children with the care and support they needed at the time. You can now request a call-back from our Client Services team at a time that suits you - using our online system. Click "Book Now"! Whether it is 7 nights or up to 6 months, we are the "go-to" temporary care specialists. You may just be after a little extra help, or specifically after a Newborn Care Specialist, (a.k.a a Night Nanny) to help you settle in with your new bub. Speak to our team and we will ensure that you receive the correct care for your family's needs. We also provide care in situations where the mother herself is unwell or the family is in a crisis. We can provide different solutions for people searching for ongoing childcare as a longer term solution for their family (usually more than 6 months). Our professionals are more than just babysitters. Our premium staff offer so much more...They are professional, pro-active, fully screened Nanny/Educators who are trained, developed and legally employed by us. We have casual assistance for all occasions and times. Relax and focus on your special event or date night - because you can be sure we are taking care of your most precious assets. It can be hands-down the single most challenging period of parenting. Our Newborn Care Specialists (a.k.a. Night Nannies) are exclusively trained and can make the transition of new baby as smooth as... well, a lot smoother for you! Trained in sleep methods, feeding issues, caring for multiples and preemies, you can be confident that your family is being expertly supported during this often confusing and overwhelming time. 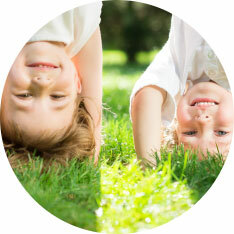 A Nanny Share arrangement can give you the best of both worlds. By sharing in-home care with another family you reduce the cost, whilst your child still benefits from the high level of personal care and attention you receive from us. We strive to offer a professional solution for people requiring a live-in arrangement. 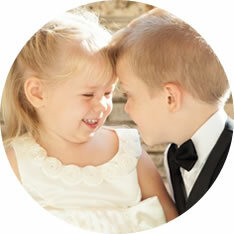 We offer the equivalent of an Au Pair, called a part-time Live-in Nanny/Educator. Part-time hours at Au Pair rates - perfect for all families' needs. If you need help co-ordinating and putting together a cozy, workable nursery, our maternity concierge service has the expertise to help. We can help you understand the types of routines your child may need and what will help set these in place, and also help you babyproof your home. We also provide information about green cleaning! Looking for a great way to reward staff performance and loyalty? Or an a value-add for interstate executives visiting Melbourne? Lose the stress. Live the dream... Your personal chef, organiser and assistant all in one. We are now a registered provider of Household Tasks support under the NDIS scheme! Do you ever dream about what it would be like to have someone to help you with the day to day running of your household? Family Personal Assistant... is there such a thing? Introducing Placement Solutions Household Managers! Interested in working as a Nanny/Educator? Looking for a job in childcare? Perhaps it's just time for a change in career. As a professional agency in Melbourne and now in Sydney, we are always on the lookout for professionals to work with our families. We provide the highest standards of employment and Professional Development for our staff and always have jobs in Melbourne and Sydney available. We can also place you in Australia from abroad with the relevant working visa. Should you be looking for international placement, We also have links with international agencies. Additionally, our training Partner Nurture Training College can help you gain certification to market yourself as the best child carer possible. Join Placement Solutions and be treated as a professional. Is your speciality organising, cooking and maintaining a home? We can help you launch a career that truly fits your needs. Household Managers work as independent contractors, with the ability to negotiate days, hours and tasks required. 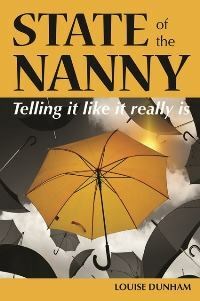 Essential reading for Nannies and those who employ them. Postage or pick up available. The book is also available from major online retailers, including amazon.com, booktopia.com.au, fishpond.com.au and bookdepository.com with more to come.